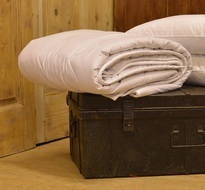 A wool duvet is an excellent choice when it comes to bedding. The wool fibres regulate your body temperature while you sleep, so you can enjoy a consistently good night's sleep at the perfect temperature. 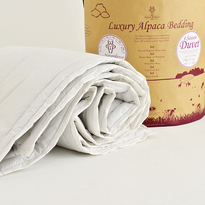 They are perfect if you share your bed with someone warmer or cooler than you as the wool fibres adapt separately, and this unique feature means your duvet will offer lightness and comfort all year round. Naturally resistant to dust mites they are ideal for allergy sufferers.